Putco started making auto accessories way back in 1975. They started with running boards / side rails, and soon dominated the aftermarket accessories business. If you want to add some Bling to your ride, there’s plenty of Putco chrome accessories to choose from. Like the Putco billet grille, the Putco grille insert, chrome door handles, chrome rocker panels, side rails, window trim, chrome trim, door sills, side markers, mirror covers, moldings, rails, step bars, chrome pillar post covers and the list goes on! You can deck out your interior with Putco pedals, or light up the night with Putco LED bulbs, strips and Xenon bulbs. If you want premium quality car accessories, Putco makes them. And we sell them at ridiculously low prices (we can do that because we’re Authorized Putco Dealers). 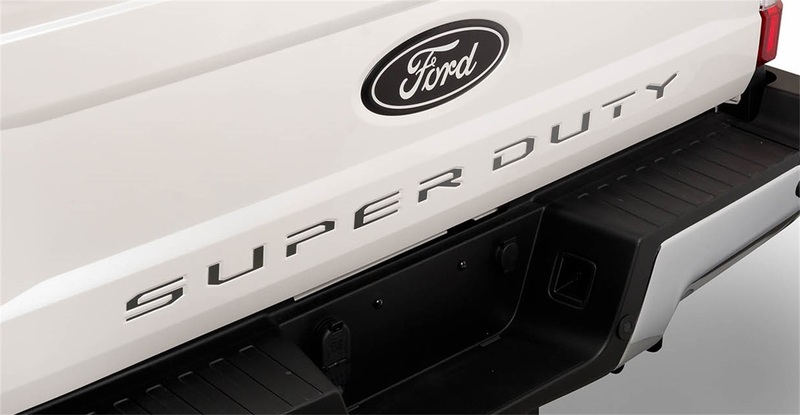 2009-2016 Ford F-250 Super Duty Putco Emblem Kits, The Putco Emblem Kits is designed specifically to fit your 2009-2016 Ford F-250 Super Duty without any modification to your beloved Ford F-250 Super Duty. Putco Emblem Kits will also fit 2009-2016 Ford F-350 Super Duty, 2009-2016 Ford F-450 Super Duty. If this Putco Emblem Kits is not exactly what you are looking for to accessories your , please don't give up just yet. Our catalog has huge variety of parts and accessories for your .